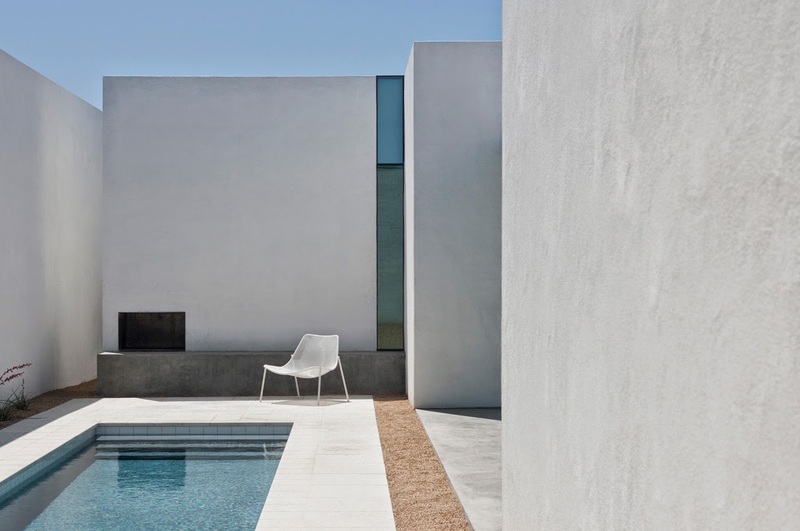 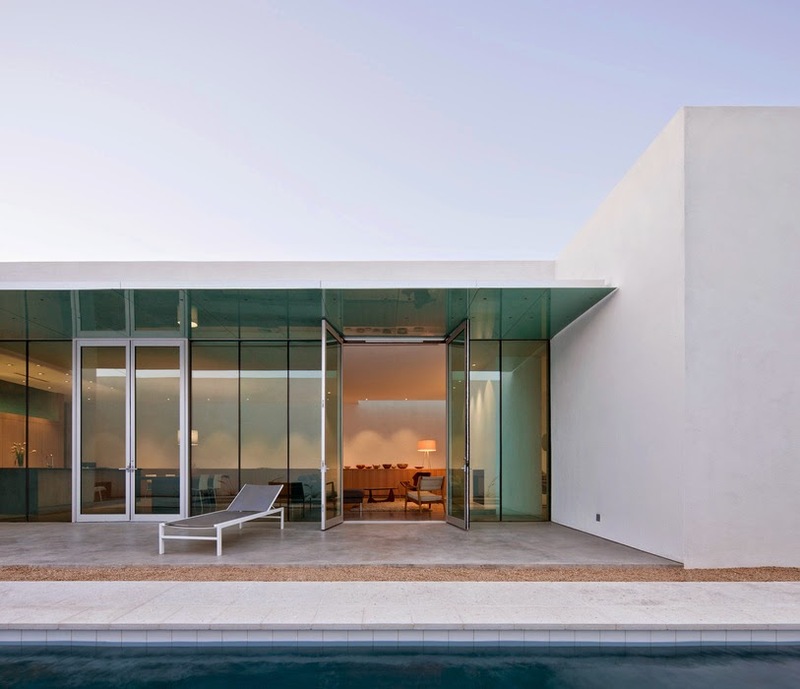 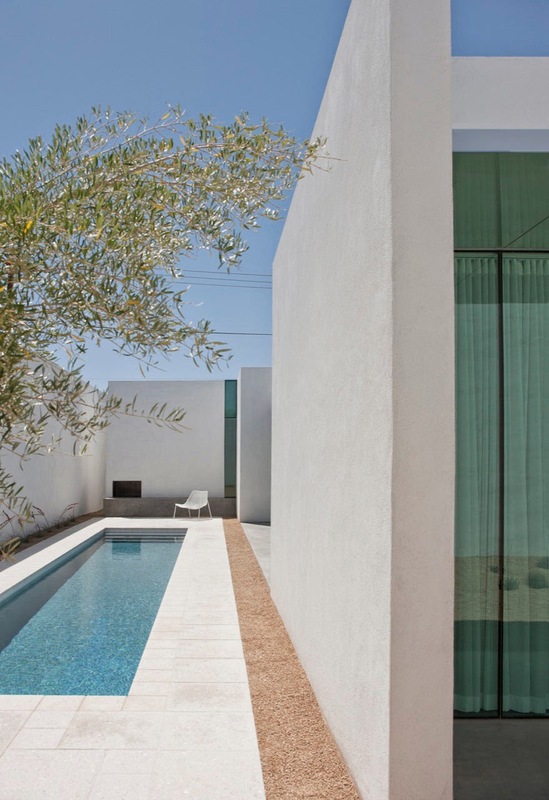 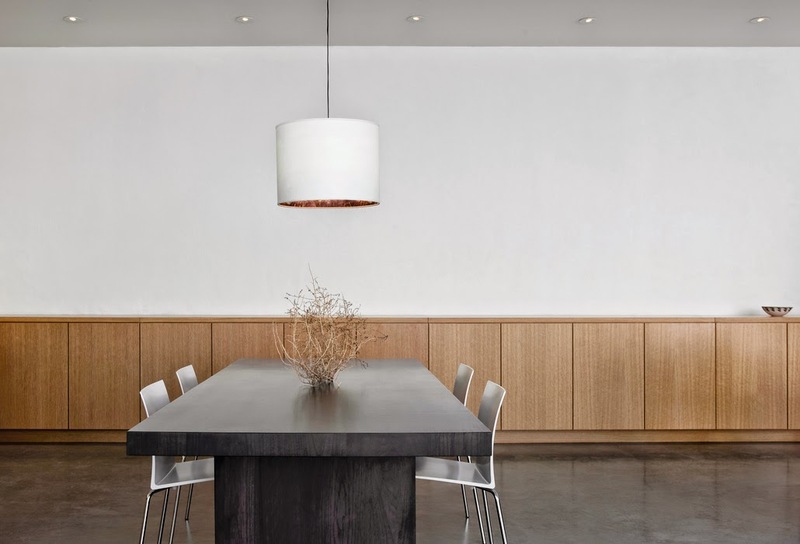 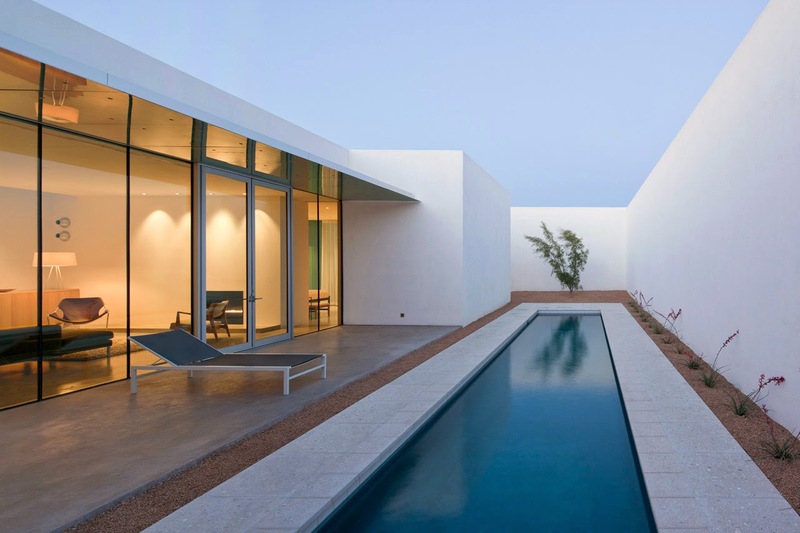 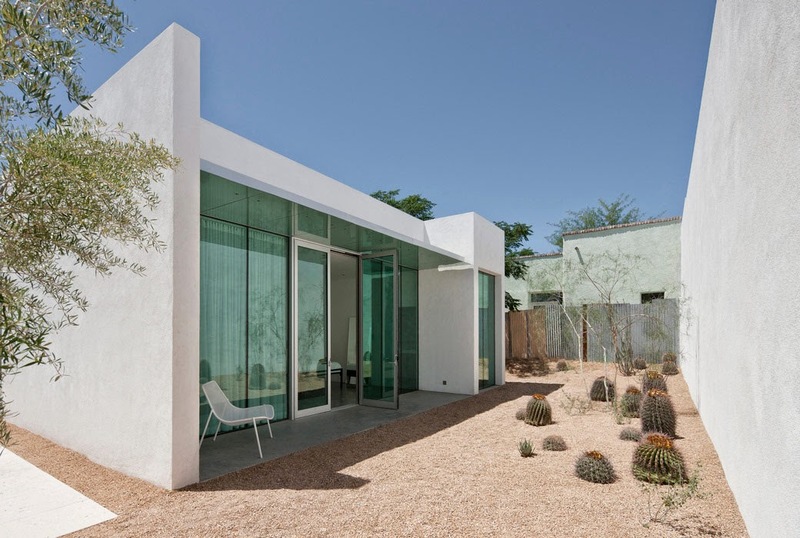 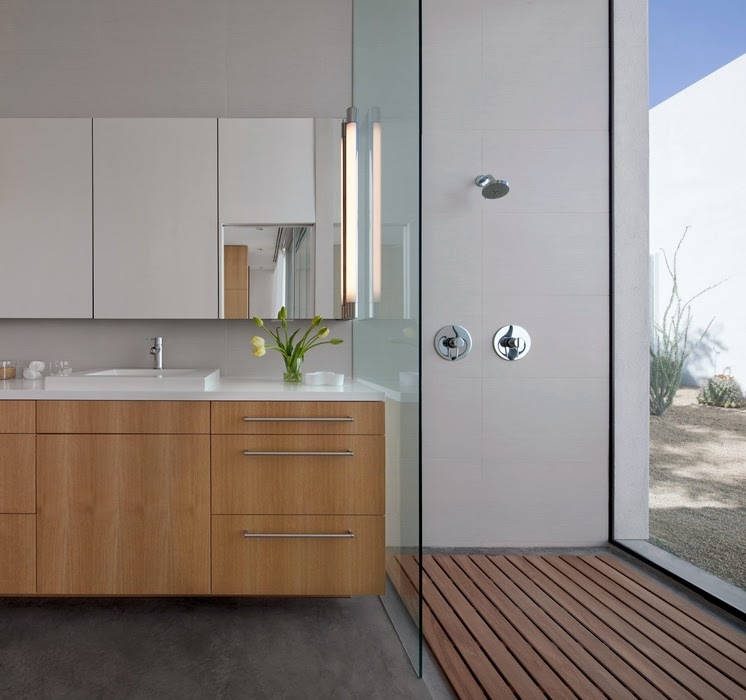 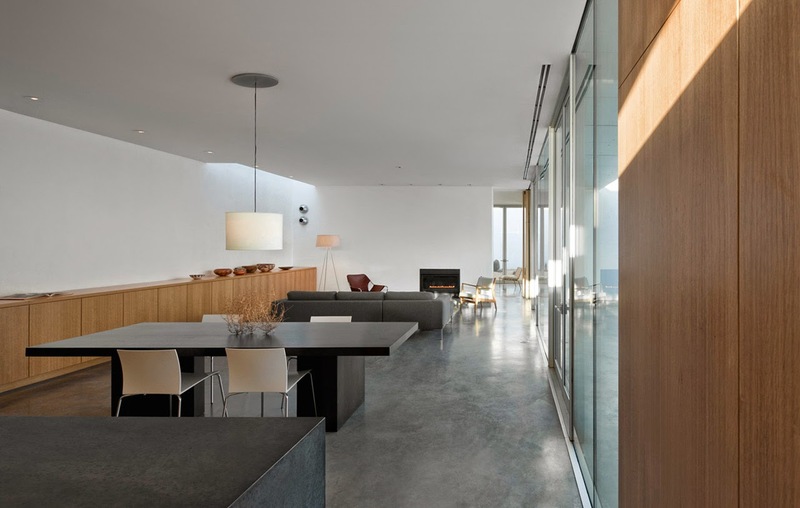 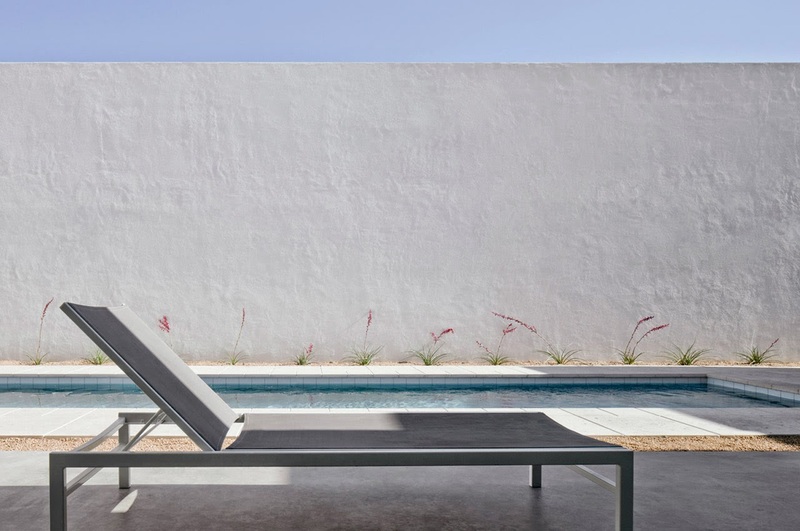 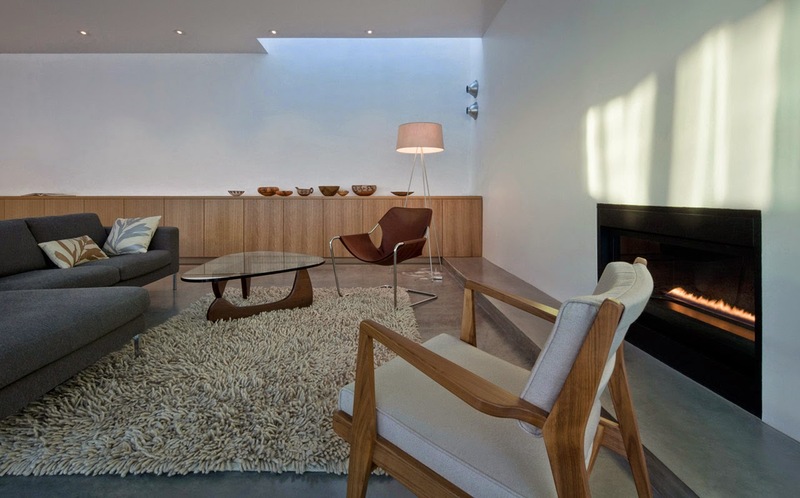 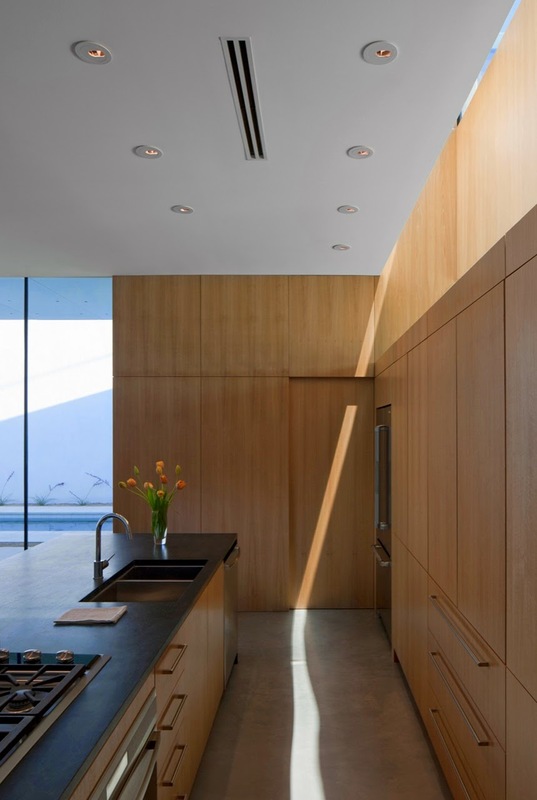 Located in Tucson, Arizona, this family house by Tucson based architects HK Associates is a modern interpretation of the traditional courtyard residence, with a contemporary minimalist approach. 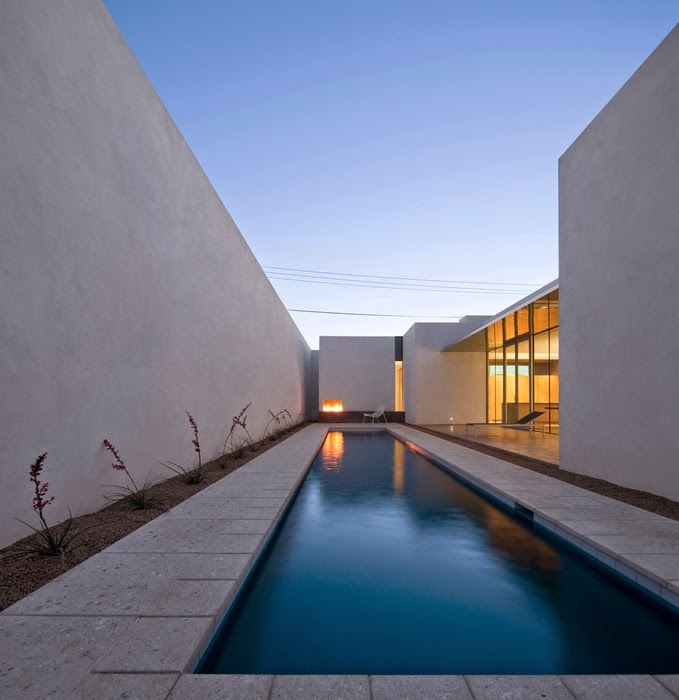 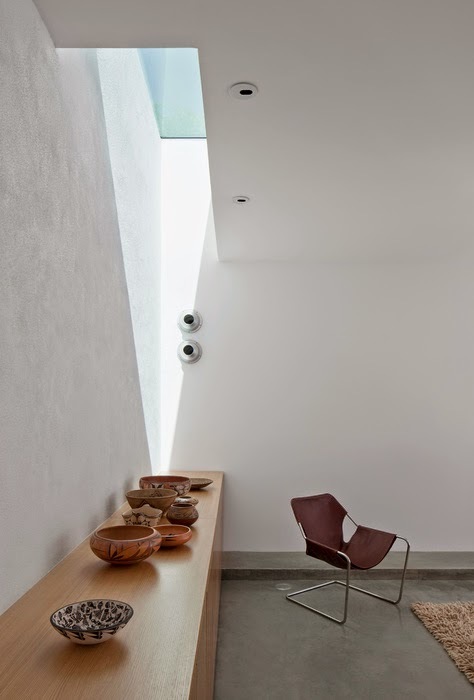 Located in Tucson’s Barrio Historico, this residence is a modern interpretation of the neighborhood’s traditional courtyard architecture. 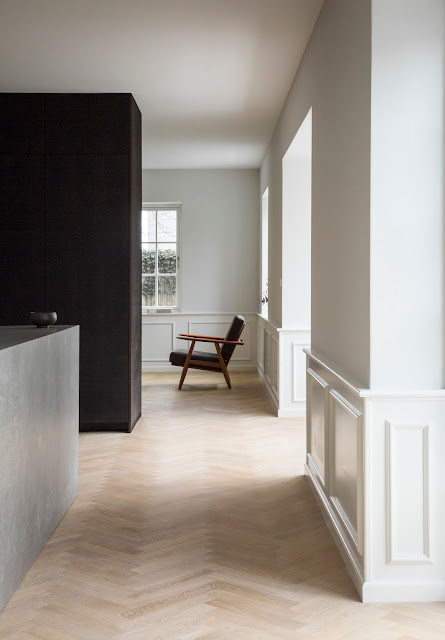 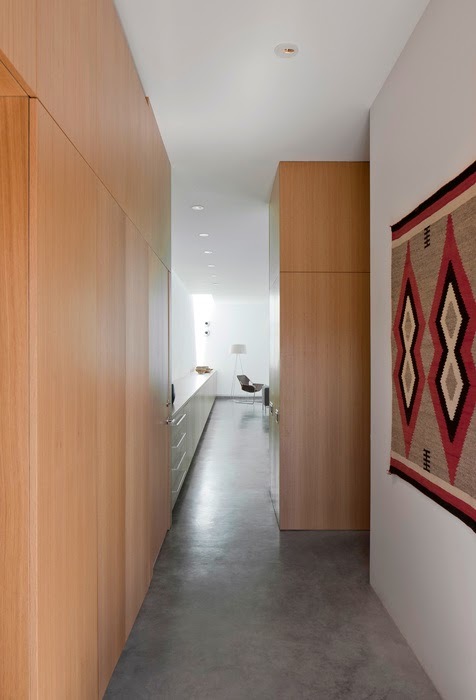 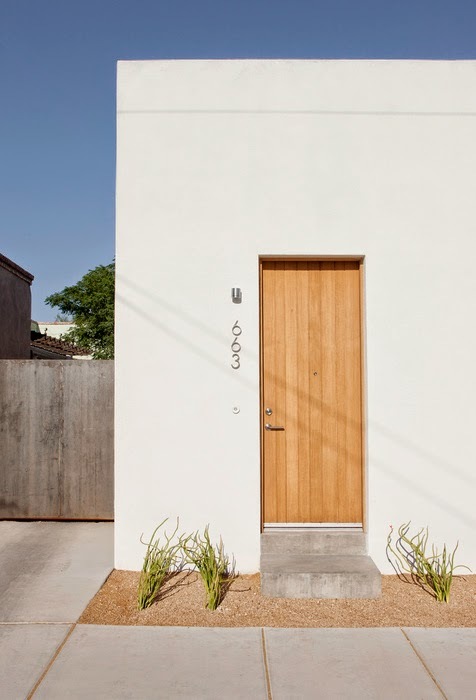 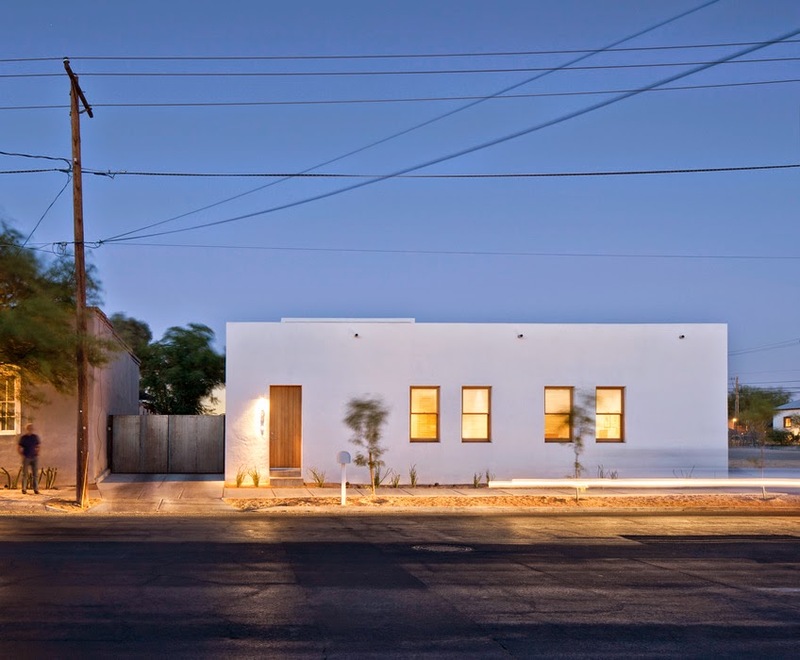 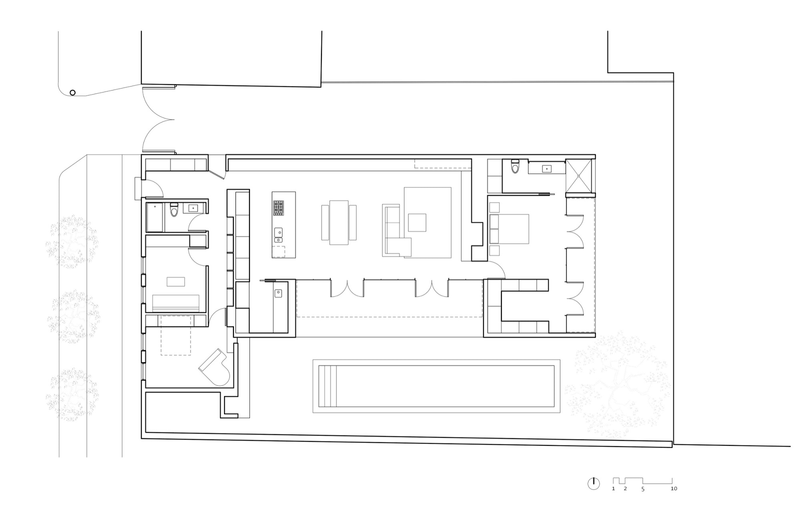 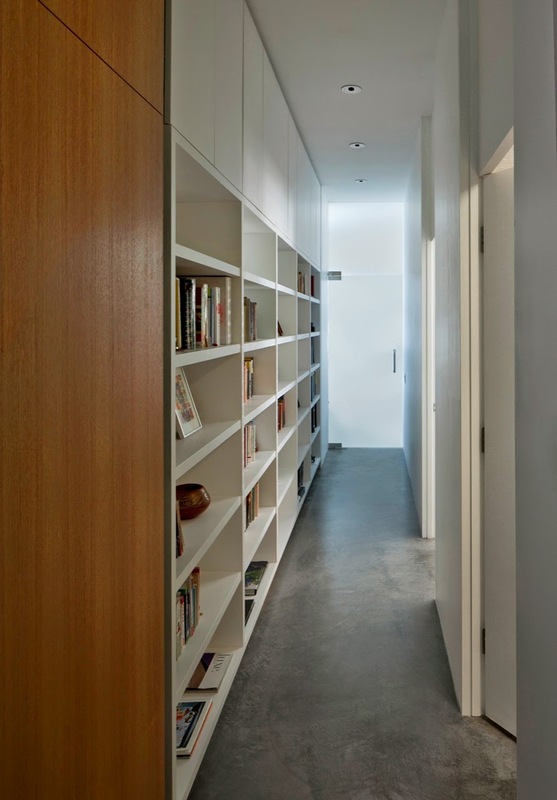 From the street, the house is anonymous, fitting into the Barrio context with façade proportions and door and window openings in keeping with neighborhood guidelines. 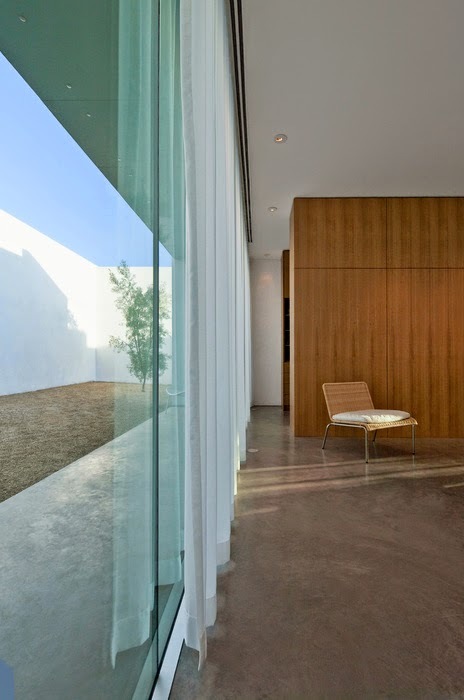 The interior of the house is something very different: a contemplative courtyard experience focused on the sky and a swimming pool that fosters a year round connection between the home’s interior and exterior spaces.The house contains an additional surprise: a long rooftop periscope over the kitchen draws the view of the distant mountain vista into the interior of the house where it appears as if looking through a broad window. 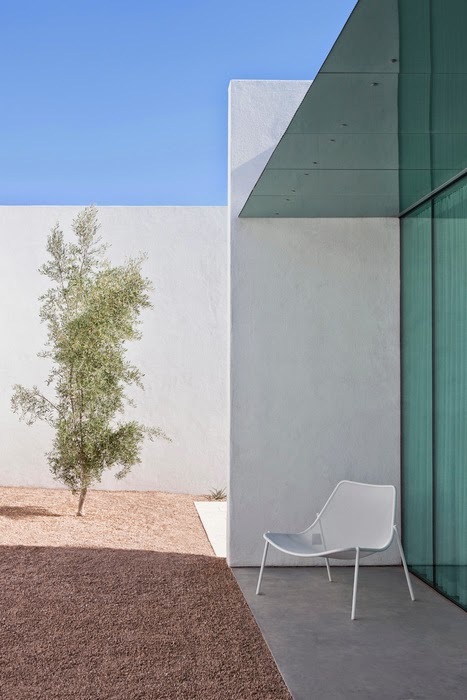 This experience of the interplay of framed views and reflections is repeated in more subtle ways throughout the house, capturing the intimacy of the courtyard and its landscaping as well as the ever-changing Sonoran desert sky.